Get out of town with these interesting St. Michaels side-trips: Cambridge (Blackwater National Wildlife Refuge & Harriet Tubman Museum and Educational Center). To find more things to do, ratings, and tourist information, read our St. Michaels trip itinerary builder . Tel Aviv, Israel to St. Michaels is an approximately 18-hour flight. The time zone difference when traveling from Tel Aviv to St. Michaels is minus 7 hours. In September, St. Michaels is little chillier than Tel Aviv - with highs of 31°C and lows of 19°C. Wrap up your sightseeing on the 21st (Sat) to allow time to drive to Crisfield. Crisfield is a city in Somerset County, Maryland, United States, located on the Tangier Sound, an arm of the Chesapeake Bay. Kick off your visit on the 22nd (Sun): examine the collection at Crisfield Heritage Foundation, then do a tasting at Bordeleau Winery, and then head off the coast to Smith Island. Get ready for a full day of sightseeing on the 23rd (Mon): admire the majestic nature at Janes Island State Park and then take in the waterfront activity at Somers Cove Marina. To find more things to do, reviews, photos, and tourist information, go to the Crisfield road trip planning website . Traveling by car from St. Michaels to Crisfield takes 2 hours. In September in Crisfield, expect temperatures between 31°C during the day and 20°C at night. Finish up your sightseeing early on the 23rd (Mon) so you can go by car to Ocean City. Change things up with a short trip to Salisbury Zoo in Salisbury (about 40 minutes away). And it doesn't end there: tour the pleasant surroundings at Ocean City Beach, take a memorable tour with Tours, find something for the whole family at Jolly Roger Amusement Park, and immerse yourself in nature at Assateague State Park. 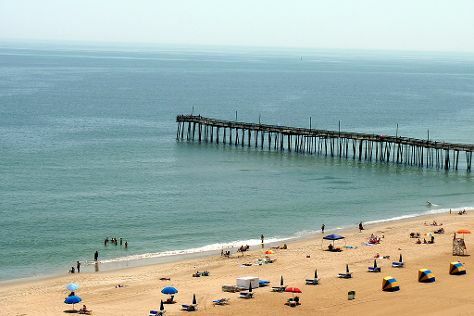 Discover how to plan a Ocean City trip in just a few steps with Inspirock's itinerary builder. Traveling by car from Crisfield to Ocean City takes 1.5 hours. In September, plan for daily highs up to 30°C, and evening lows to 20°C. Wrap up your sightseeing on the 1st (Tue) to allow time to travel to Assateague Island. On the 2nd (Wed), explore the striking landscape of Assateague Island National Seashore. To see photos, reviews, maps, and other tourist information, read Assateague Island road trip tool . The Route module can help you plan travel from Ocean City to Assateague Island. In October, daytime highs in Assateague Island are 24°C, while nighttime lows are 13°C. Wrap up your sightseeing on the 2nd (Wed) early enough to travel to Elkton. The town of Elkton is the county seat of Cecil County, Maryland, United States. On the 3rd (Thu), make a trip to Historical Society of Cecil County, stroll through Plumpton Park Zoo, and then admire the majestic nature at Elk Neck State Park. Get ready for a full day of sightseeing on the 4th (Fri): explore the activities along Bohemia RIver, then make a trip to Mount Harmon Plantation, then get engrossed in the history at C&D Canal Museum, and finally explore and take pictures at Milburn Orchards. To find photos, traveler tips, more things to do, and more tourist information, use the Elkton driving holiday planner. Explore your travel options from Assateague Island to Elkton with the Route module. Expect a daytime high around 24°C in October, and nighttime lows around 11°C. Finish your sightseeing early on the 4th (Fri) to allow enough time to travel back home.